Creating a startup is a very exciting experience: picking a stellar name, building an impressive team, launching a super-cool website and more activities make each day into an adventure! To keep up with the exhilarating and fast pace, your company needs help. Sure, your team can work hard to get things done, but may be limited in their knowledge or lack the needed experience. What do you do then? You can bring on mentors to coach you! As a startup, you want to get your company ready for the business big leagues. To score a home run, a solid game plan is paramount. Mentors act as coaches: they can play a role in scoring specific home runs against your most prominent problems. After creatively reaching out and retaining the right mentor with the specific expertise to work on your particular issues, think through realistic problem-solving approaches with your mentor. Let your advisor call the shots a bit here, but offer your insights as well. This “meeting-of-the-minds” process may take some time, but it is worthwhile. After getting validation about your business idea from your potential customers or consumers, mentors can partner with you in reaching your goals. Advisors are busy people and have many things on their plates, but avoid making the mistake of consulting with them only when you may have a business emergency. There will be times when things are going well for you, and they can provide valuable insights on why your ideas are working out. They also can suggest proven ideas that can help you when troubles may arise. Let your mentor be a sounding board in good and bad times! Some mentors will also check in with you to chart your progress depending on their schedules and level of commitment. In a way, you will have to be accountable to them as they assess your progress. Every mentor wants to know they are not wasting their time and the tips that they are giving away are being put to good use. As experienced entrepreneurs who have created profitable companies, mentors have learned about the types of qualities that startup employees should have upon hiring. You can consult with your mentors about what particular talents that your individual employees should have to build the best possible team. If you offer retail-related services, picking a social media-savvy person to come aboard is probably smart. And if you have a business related to the sharing economy, then bringing on someone with growth hacking knowledge can be a great choice. Mentors can help you cut through the mess and find better talent with their years of experience in working with talent. If you find a well-known mentor, chances are that they have a large circle of business acquaintances that can help you as well. Some new business owners may overlook networking as an important part of the mentorship-mentee relationship. Sure, you can pick the brain of your mentor whenever possible, but having your guide make a referral to someone on your behalf or introduce you to another trusted advisor is awesome. But meeting up with a new connection over drinks or coffee should not get in the way of your relationship with your mentor. Please remember that is was your advisor that opened this door for you, so thank them graciously. 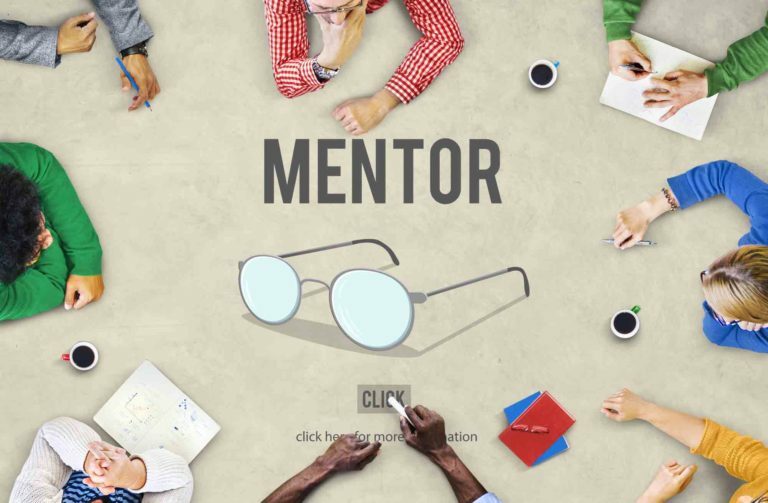 Searching across the internet, you will come across dozens of stories from new business owners about the benefits of mentorship. Sometimes, your mentors can feel like parents in taking you from crawling to walking in your industry. But if that happens, then it just means that your advisor has done a great job in helping you!